This is my first post to the community and I am ecstatic to be a proud owner of a Helms 25 which was known as 'Crush' out of Holland, MI. Before that she was known as 's/v Hannabel' which I found on this Helms builders forum the owner before the last owner that I purchased from, kwaltersmi. I'd love to treat Kevin to a lunch/beer and pick his brain about life and sailing, maybe even find out if he knew the original name or finding out some of the name/s prior to Hannabel. 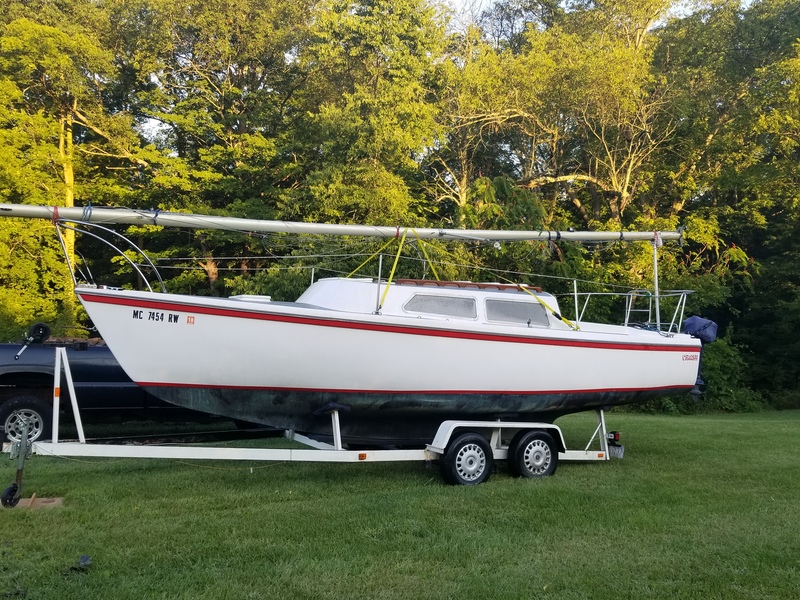 I had been a hobby sailor for about 20 years now with my Sunfish (I am 30) and decided I needed an upgrade to be able to take any number of friends and family. I bought the Helms 25 in August 2018 and had her out 5 times before packing in for the harsh Michigan winter. 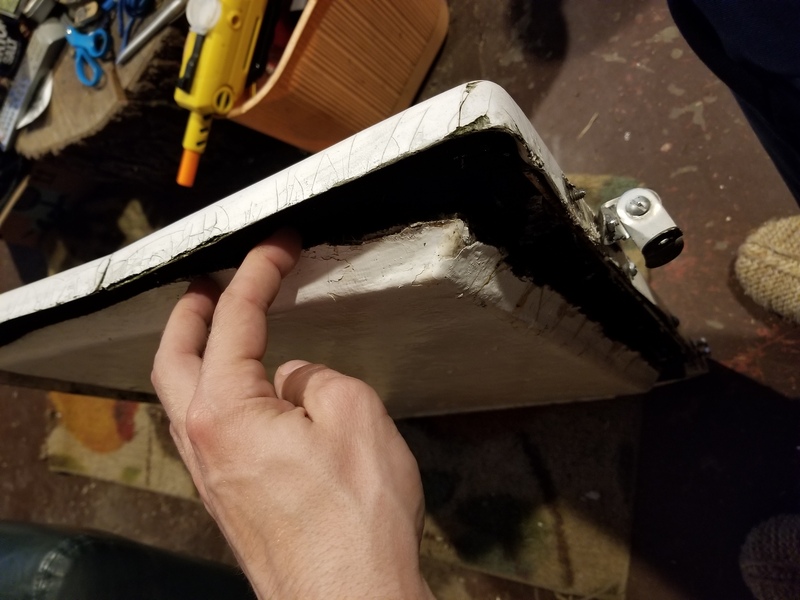 Some minor cabin top leaks and port light leaks that I'd like to tend to this spring, other than that the vessel is entirely sound and open water worthy. (Soft spots on the cabin top are a concern as well but not immediately as I'm still considering two different repair options there). Rest of the deck is solid and standing & running rigging is in decent shape. 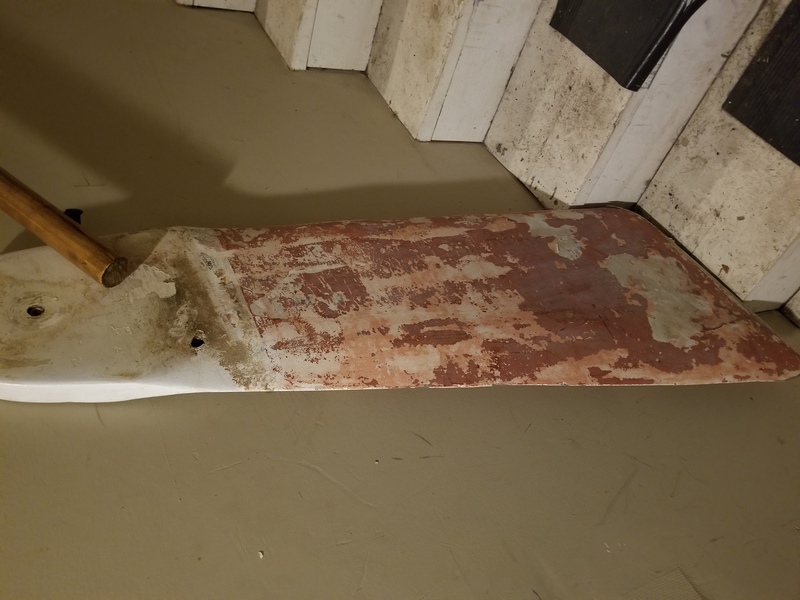 The original rudder had some cracks and sloughing gelcoat which I have totally stripped off down to the wood strip planked core. 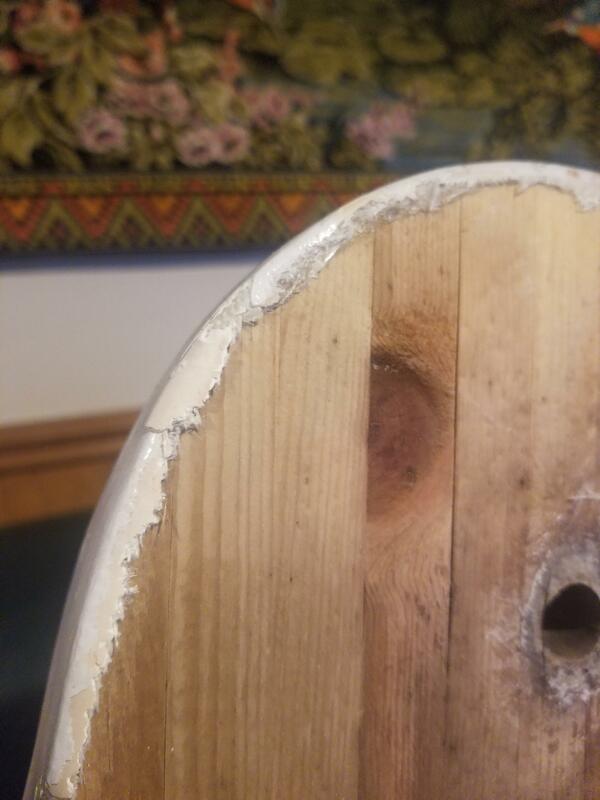 The wood core of the rudder is still solid but was very wet and currently drying out before my repair attempt. Going to reglass with chop mat and paint white. Any input or hello's or tips are gladly welcomed. The cabin top I am considering drilling and filling with something like gitrot or rather inject a deck..maybe something similar...a seemingly huge point of contention on forums between that and cutting out & re coring rotted portions....both seem labor intensive but if the latter of the two is the proper best way, I am leaning towards that for those reasons alone. Here are a few photos. Rudder is *mostly* stripped clean. Still need to sand off the spots that didn't delaminate. 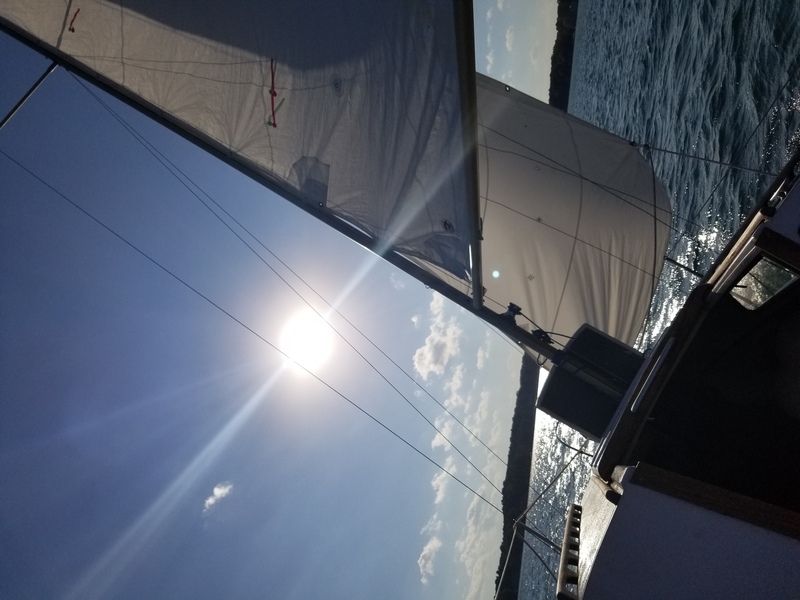 Threw on a picture of sailing on Gull Lake last fall in Michigan. Last edited by Tom Crookston; 3 Weeks Ago at 06:00 PM. Anyone out there that may be scrapping or have access to scrap yards and come across a Helms 25; I'm hoping to find the cabin top hatch. The larger one that is just in front of the mast. 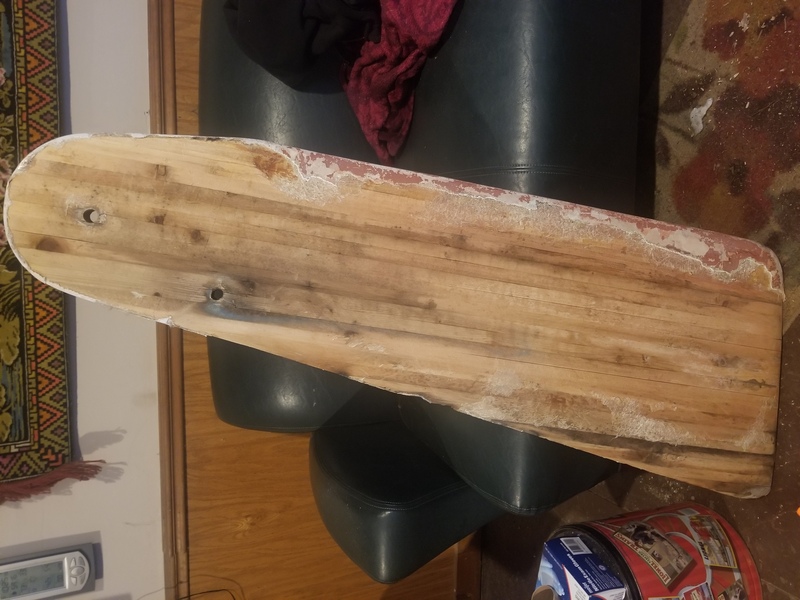 Mine is in VERY rough shape. 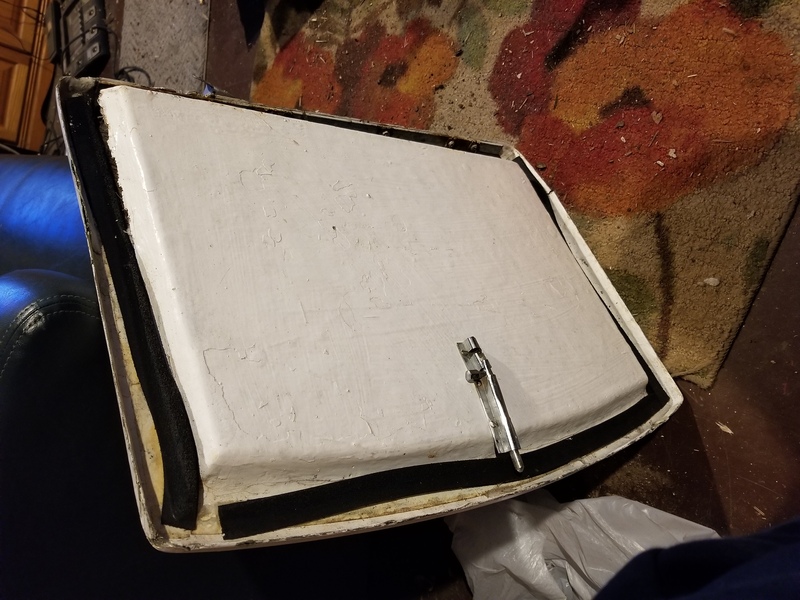 Or if anyone has any repair suggestions (..i'm thinking lots of epoxy and chop mat) or even a clever way to build a new one, maybe using the original as a rough mold. Any help/direction would be greatly appreciated. Last edited by Tom Crookston; 1 Week Ago at 08:49 AM. I recall when Walter bought that boat, I sent him a lot of information about the Helms. 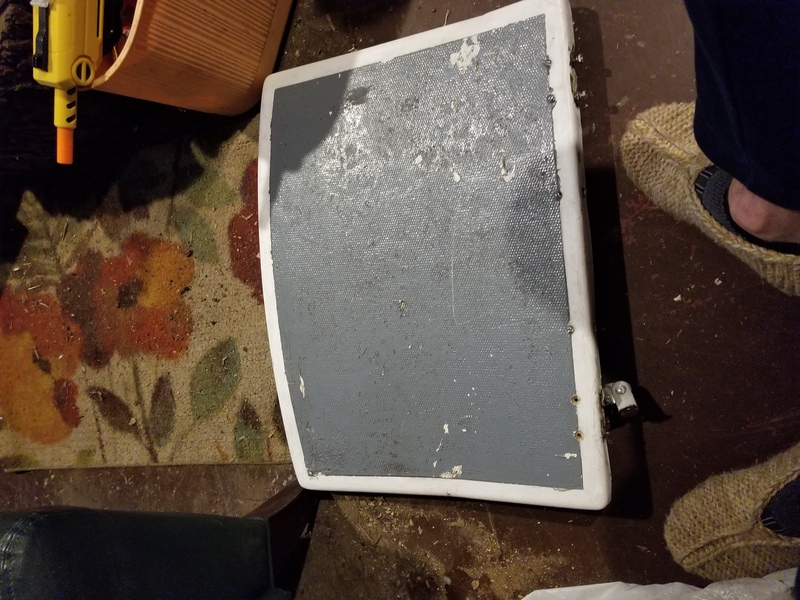 I have that hatch cover for you. Make a list and figure our what other parts you may need. 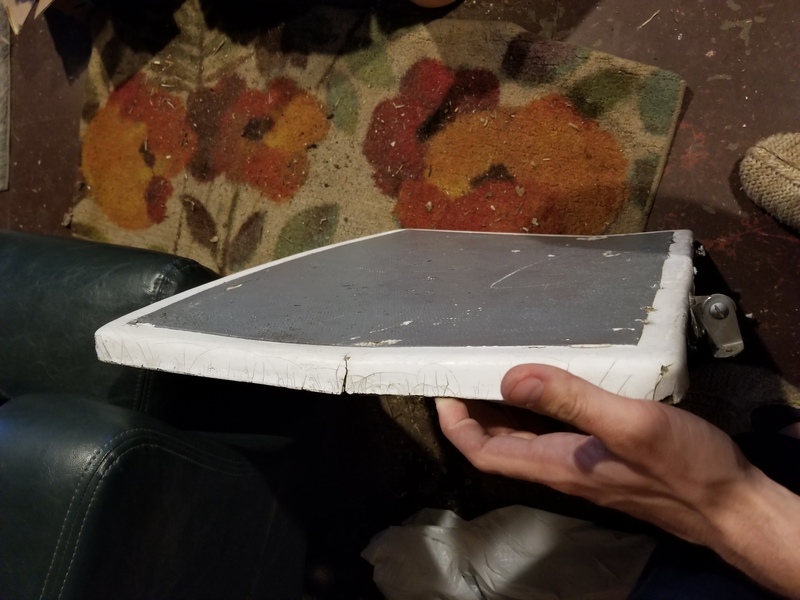 Check the sail inventory, I can help you on sail repair...been working on that skill. I have some "butcher" pix of a Helms disassembly posted in my pix. Jumaggafanny or Chimera. Send me an email [email protected] w/contact info when you're ready.